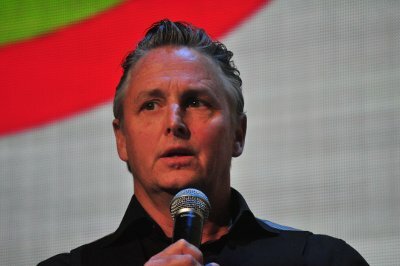 The MusiCares Foundation, an affiliated charity of the Recording Academy with an outstanding four-star rating from Charity Navigator, announced today that the 2018 MusiCares Concert For Recovery will honor Grammy winner Mike McCready of Pearl Jam on Thursday, May 10, 2018 at The Showbox in Seattle (1426 1st Ave.). McCready will receive the Stevie Ray Vaughan Award in recognition of his significant dedication to and support of MusiCares and his commitment to helping others in the addiction recovery process. The Concert For Recovery will feature performances by Latin Grammy winner Barrett Martin, Grammy winner Slash, multi-Grammy winner Chad Smith; and artists Duff McKagan, Mike Ness, and Heart's Nancy Wilson. The evening will close with a special performance by McCready and friends. The event, presented by Amazon Music, will benefit MusiCares, an affiliated charity of the Recording Academy. MusiCares ensures music people have a place to turn in times of financial, medical, and personal need and it provides members of the music community access to addiction recovery resources. In addition, a one-of-a-kind Nixon Chris Cornell Sentry timepiece that is touring to Nixon's flagship retail locations in London and Paris in the spring of 2018, will be auctioned off live at the Concert For Recovery. An active member in the music community, McCready has also been a member of Levee Walkers, Mad Season, the Rockfords, and Temple Of The Dog. Additionally, McCready plays with friends in Flight To Mars, a UFO tribute band that hosts charity events for the Crohn's and Colitis Foundation's Camp Oasis program and the Jennifer Jaff Care Line. When not performing live, McCready scores TV and film projects which include Fat Kid Rules The World, Fringe, The Glamour & The Squalor, Hawaii Five-O, Horrible Bosses, Shameless, and We Bought A Zoo. In 2013, McCready founded HockeyTalkter Records, a small vinyl record label and media outlet specializing in limited edition seven-inch singles with releases from Star Anna, Brandi Carlile, Danny Newcomb, Stereo Embers, and Thunderpussy. The MusiCares Foundation offers health and human services and programs to members of the music community, including emergency financial assistance for basic living expenses such as rent, utilities, and car payments; medical expenses, including doctor, dentist and hospital bills; and treatment for HIV/AIDS, Parkinson's disease, Alzheimer's disease, hepatitis C, and other critical illnesses. MusiCares offers nationwide educational workshops covering a variety of subjects, including financial, legal, medical, and substance abuse issues, and programs in collaboration with health care professionals that provide services such as flu shots, hearing tests and medical/dental screenings. MusiCares provides access to addiction recovery treatment and sober living resources for members of the music community. Staffed by qualified chemical dependency and intervention specialists, MusiCares offers Safe Harbor Room®support, sponsored in part by the Bohemian Foundation, to provide a network to those in recovery while they are participating in the production of televised music shows and other major music events. MusiCares holds weekly addiction support groups for people to discuss how to best cope with the issues surrounding the recovery process. The MusiCares Sober Touring Network is a database of individuals across the United States who can take music people to recovery support meetings while on the road.